Tags: idle, champions, early, access, event, the running, catti-brie, companions of the hall. The Running is our eleventh limited-time event, running until Tuesday, May 15th at 12:00pm PDT, and introducing Catti-brie, the Human Fighter! When you want to add Catti-brie to your party, you can swap her with Minsc. 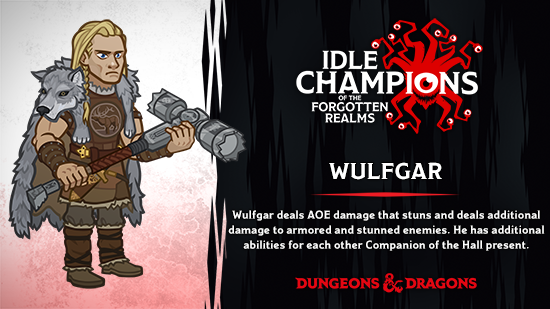 The Wolves in the Woods — Werewolves randomly spawn and attack the party, each with special abilities. 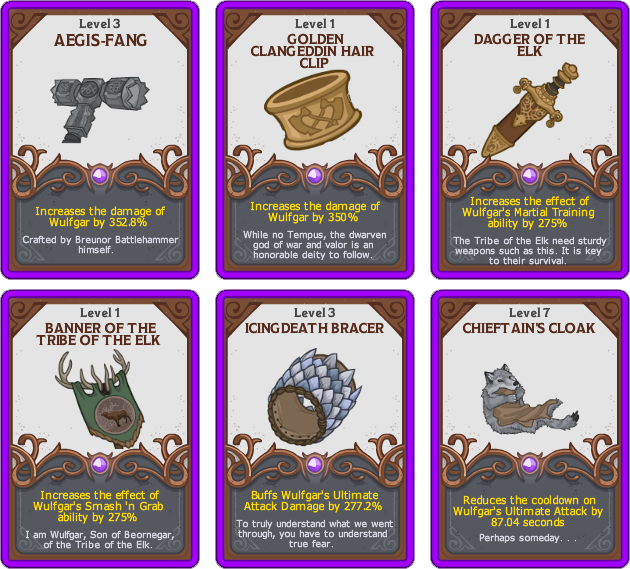 Catti-brie's silver arrows deal double damage/hits to these creatures. Critter Companions — Two forest critters take up slots in the formation, increasing the damage of adjacent Champions by 400% moving around every 25 areas. Catti-alone — Catti-brie is the only Champion available for this mission. Her damage increases by 40% per area, stacking multiplicatively, her attack speed is greatly increased, and her Ultimate ability cooldown is reduced to 10 seconds. 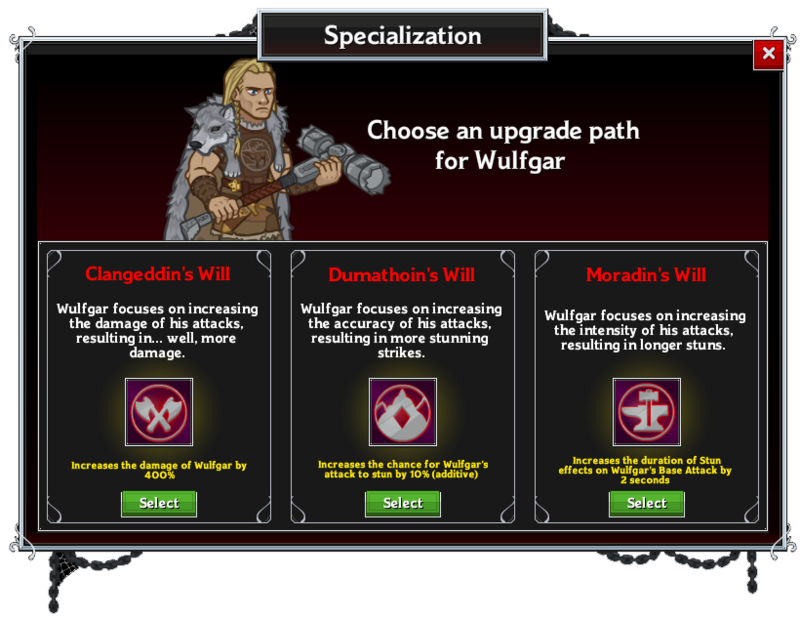 Added the The Running event, our eleventh limited-time campaign event! The event will run until Tuesday, May 15th at 12:00pm PDT. 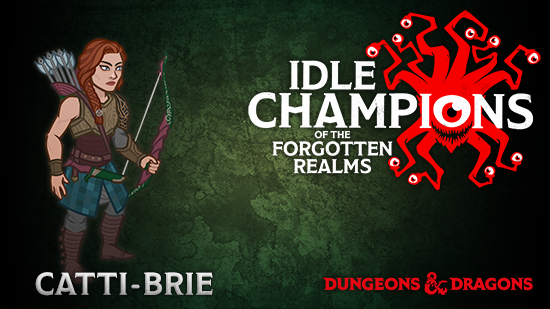 Added a new Champion: Catti-brie. Added a new event Divine Favor: Rillifane Rallathil's Favor.